Top-notch wineries, lush forest trails and whitewater rapids await. Sliced in two by a river that winds for 111 miles from the southern Cascade Mountains to the Pacific Ocean, the Umpqua Valley is known just as well for its legendary outdoor recreation (the Umpqua River is nicknamed the Graduate School for Steelhead Fly Fishing) as it is for its award-winning wineries and sophisticated, locally sourced cuisine. The valley’s vino often steals the spotlight, and the winemaking tradition dates back more than a century to the 1880s. These days, the Umpqua Valley AVA’s 1,500 acres of alluvial, rolling vineyards support about two dozen wineries that produce some of the most diverse wines in the state, from albariño at Abacela to zinfandel at Spangler Vineyards. It’s also terrific territory for getting out into nature, whether it’s fly fishing for steelhead trout, hiking and mountain biking along evergreen-shaded trails and past rushing waterfalls, or whitewater rafting along the Umpqua’s exhilarating rapids. Anchoring the region, Roseburg, with its walkable and historic downtown, is the area’s cultural and commercial heart. It’s an inviting destination for indie shopping and gallery hopping — and a jumping-off point for adventures. If you have three days in the Land of Umpqua, here’s how to make the most of every hour. Getting Around: Before setting out, check your route on TripCheck.com. And keep in mind that although it’s easiest to get around the area by car, it’s also possible to explore Roseburg and many of the area’s wineries by bike — the area is laced with paved pathways. You can rent wheels in downtown Roseburg at Canyon Creek Bicycles. Be sure to pack bike lights on the chance your ride lasts beyond sundown. Another option for visiting local wineries is booking a tour with Swing From the Vines, which offers customized excursions in a small, comfortable shuttle bus. Arriving in the area just after lunch, set out to explore some of the Umpqua’s outstanding wineries and farms. 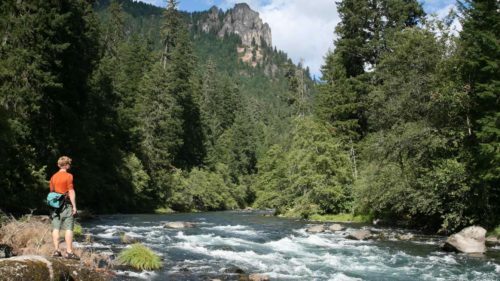 The “North Loop” follows a picturesque stretch of the Umpqua River. For a map, visit UmpquaValleyWineries.org, where you can also download a handy app to your mobile device. Stop first at Reustle Prayer Rock Vineyards, which is set on 200-acre tract of greenery down a Douglas fir-lined lane and is celebrated for having produced the first grüner veltliner in the United States, as well as for its stunning Old World-inspired tasting cave. This softly lit, subterranean space lined with vintage barrels is a memorable setting for tasting green apple-inflected grüner veltliner, along with acclaimed viognier, pinot noir and tempranillo. There’s sometimes live music in the grassy amphitheater situated atop the wine cave. 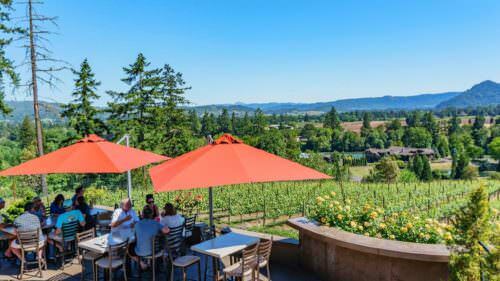 Just a few miles up the road, a visit to prolific Henry Estate Winery offers the chance to sample award-winning pinot noir, along with an exceptionally well-balanced, Alsace-style pinot gris. The estate’s enterprising owner developed the now internationally regarded Scott Henry Trellis System to enhance the quality of his grapes. Return south through the lush Garden Valley, stopping at family-run Norm Lehne Garden & Orchards to stock up on local U-pick produce, which can include — depending on the season — apples, corn, peaches, pears, pumpkins and tomatoes. In downtown Roseburg, you’ll find stellar restaurants turning out deftly prepared farm-to-table fare and featuring local wines and craft beers. Set in a lavishly restored Queen Anne mansion with elegant indoor dining rooms, a hip speakeasy-inspired bourbon bar and charming patio seating, The Parrott House serves such tantalizing dishes as chanterelle risotto with white truffle oil and duck-confit cassoulet. Or consider convivial True Kitchen + Bar, where specialties include a wedge-style Cobb salad and grilled local salmon with an ancho-maple glaze. Several modern, comfy lodging options in Roseburg are set just off Interstate 5, close to both downtown and the paved bike path that passes by the Visit Roseburg visitor center, curves north through Stewart Park and continues west toward the area’s wineries. Good overnight bets include Travelodge Roseburg Riverfront, Holiday Inn Express Roseburg and Hampton Inn Roseburg. Kick things off with breakfast at one of downtown’s lively eateries — perhaps Brix Grill, with its local pear and blue cheese omelet, as well as fluffy blueberry and lemon-zest pancakes. You’ll find first-rate java drinks at OAK + Main Corner Coffee Bar, which also serves panini breakfast sandwiches, hearty soups and fresh baked goods. It’s a good option, as is nearby Bagel Tree Cafe and Bakeshop, for the picnic-lunch supplies you’ll want for the day of outdoor adventures that lies ahead. If you get a free moment after breakfast, do visit the outstanding Douglas County Museum of Natural & Cultural History, which provides a dynamic look into the region’s 10,000 years of human history. Spend the rest of the day exploring the iconic North Umpqua Trail, which meanders alongside the pristine Umpqua River for some 79 miles into the heart of Southern Oregon’s Cascade Mountains and offers abundant recreational opportunities, including hiking, photography, mountain biking and fly fishing. Just 22 miles northeast of Roseburg via Highway 138, you can access the trail starting at Swiftwater Park, but there are numerous additional entry points with parking areas along the entire trail. You can download BLM trail maps and brochures here. About 15 miles east of Swiftwater Park (a 45-minute drive from downtown) lies one of the most atmospheric overnight getaways in the region, the Steamboat Inn, many of whose rustic-chic cottages and cabins have deep soaking tubs, wood stoves and sweeping balconies overlooking the Umpqua River. The seasonal on-site restaurant serves superb breakfasts, lunches and dinners that emphasize locally sourced ingredients. From the inn, you’re steps from a prime fly-fishing-only stretch of the Umpqua River that’s famous for world-class steelhead fishing; bring your own rod or stop by the inn’s fly shop for tackle. 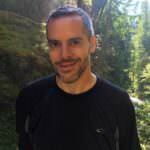 Other fun activities nearby include whitewater-rafting trips, which can be arranged through North Umpqua Outfitters, along with mountain biking and hiking. Or on a warm summer day, there’s nothing like simply taking a plunge in a scenic swimming hole, or visiting one of the many dramatic waterfalls in the area. The inn can suggest the best spots to go and recommend reliable hiking, biking and fishing guides. Optionally, you can continue east on Highway 138 another hour or so to reach both Diamond Lake and its popular Diamond Lake Resort, along with the northern entrance to Crater Lake National Park. Note that the northern entrance is closed in winter, generally from early November through late May, depending on conditions; call ahead to confirm hours. During the warmer months, a good place to start your tour is Kruse Farms, which is beloved for its homemade baked goods, including cookies, turnovers and seasonal pies, from cherry rhubarb to cran-apple. You can also pick local produce (call ahead to find out what’s in season) or stock up on hazelnuts, jams, syrups and dried fruits at this cheerful farm-stand market. Just west of the South Umpqua River, Melrose Vineyards offers tastings inside a warmly decorated, century-old barn overlooking acres of vineyards. Chardonnay, sauvignon blanc and a distinctively lush red pinotage are among Melrose’s favorite bottles. On higher ground a few miles to the west, HillCrest Vineyard has a special place in the state’s viticultural history. In 1965 the winery’s late founder, Richard Sommer, planted Oregon’s very first pinot noir grapes. Current owner Dyson Demara is a charming and eloquent tasting room host; he happily pours and discusses HillCrest’s silky “Old School” pinot noir along with other fine vinos, including the Perfecti grenache-carignane-syrah blend and the bold Cádiz tempranillo. You’ll depart with a newfound appreciation of the Umpqua Valley’s flourishing wine scene. 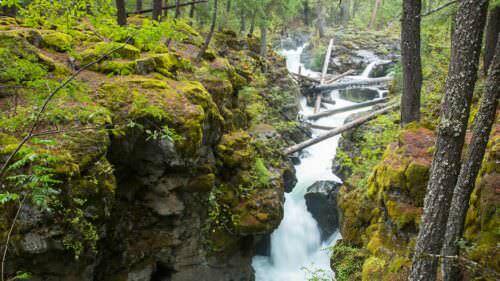 What is the best time of year to visit the Rogue-Umpqua Byway to see the waterfalls?